"Some people say inequality doesn’t matter. They are wrong. All we have to do to see its effects is to realize that all across America millions of people of ordinary means can’t afford decent housing. As wealthy investors and buyers drive up real estate values, the middle class is being squeezed further and the working poor are being shoved deeper into squalor — in places as disparate as Silicon Valley and New York City.On the latest episode of Moyers & Company this week, host Bill Moyers points to the changing skyline of Manhattan as the physical embodiment of how money and power impact the lives and neighborhoods of every day people. 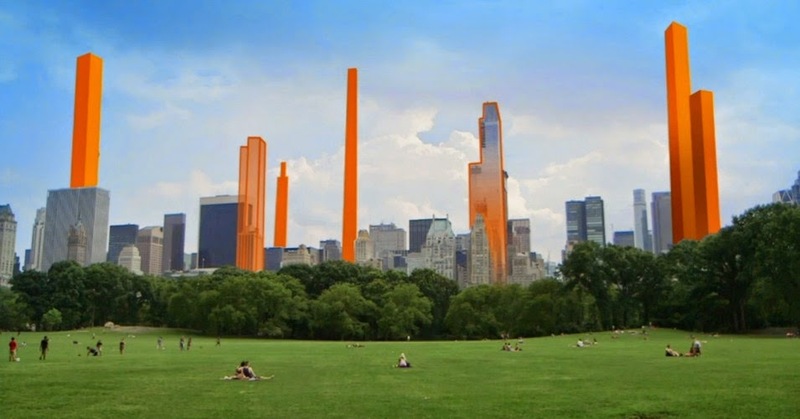 Soaring towers being built at the south end of Central Park, climbing higher than ever with apartments selling from $30 million to $90 million, are beginning to block the light on the park below. Many of the apartments are being sold at those sky high prices to the international super rich, many of whom will only live in Manhattan part-time – if at all — and often pay little or no city income or property taxes, thanks to the political clout of real estate developers. “The real estate industry here in New York City is like the oil industry in Texas,” affordable housing advocate Jaron Benjamin says, “They outspend everybody… They often have a much better relationship with elected officials than everyday New Yorkers do.” Meanwhile, fewer and fewer middle and working class people can afford to live in New York City. As Benjamin puts it, “Forget about the Statue of Liberty. Forget about Ellis Island. Forget about the idea of everybody being welcome here in New York City. This will be a city only for rich people.” At the end of the show Bill says: “Tell us if you’ve seen some of these forces eroding the common ground where you live. Perhaps, like some of the people in our story, you’re making your own voice heard. Share these experiences at the BillMoyers.com or in the comments section here." ''Less than 40 years ago, Bhutan opened its borders for the first time. Since then, it has gained an almost mythical status as a real-life Shangri-La, largely for its determined and methodical pursuit of the most elusive of concepts – national happiness. Since 1971, the country has rejected GDP as the only way to measure progress. In its place, it has championed a new approach to development, which measures prosperity through formal principles of gross national happiness (GNH) and the spiritual, physical, social and environmental health of its citizens and natural environment. For the past three decades, this belief that wellbeing should take preference over material growth has remained a global oddity. Now, in a world beset by collapsing financial systems, gross inequity and wide-scale environmental destruction, this tiny Buddhist state's approach is attracting a lot of interest. Bhutan's principles have been set in policy through the gross national happiness index, based on equitable social development, cultural preservation, conservation of the environment and promotion of good governance. At a primary school in Thimphu, the headteacher, Choki Dukpa, watches her students make their way to class. She says that she has seen huge changes to the children's emotional wellbeing since GNH principles were integrated into the education system four years ago. She admits that at first she had no idea what the government's policy to change all education facilities into "green schools" meant. "It sounded good but I wasn't sure how it would work," she says. But after Unicef funded a "green schools" teacher training programme, things improved. "The idea of being green does not just mean the environment, it is a philosophy for life," says Dukpa." Thalidomide was one of the worst drug scandals in modern history, killing 80,000 babies and maiming 20,000 babies after it was taken by expectant mothers. Fracking provides a potentially similar example today, the report warns: “... innovations reinforcing fossil fuel energy strategies — such as hydraulic fracturing — arguably offer a contemporary prospective example.” The chapter, written by Prof Andrew Stirling of the University of Sussex, also argues that the UK and the world could tackle climate change with energy efficiency and renewable energy alone but vested interests in the fossil fuel industry stand in the way. There is a “clear feasibility of strategies built entirely around energy efficiency and renewable energy”, the report, published earlier this month, says. “Yet one of the main obstacles to this lies in high-profile self-fulfilling assertions to the contrary, including by authoritative policy figures.” “In energy... the obstacles to less-favoured strategies [such as energy efficiency and renewables] are typically more commercial, institutional and cultural than they are technical. Among the most potent of these political obstructions are claims from partisan interests — such as incumbent nuclear or fossil fuel industries — that there is no alternative to their favoured innovations and policies.”"
"ALLEGHENY TOWNSHIP, WESTMORELAND COUNTY, Pa. -- Just send over a moving truck, and Bob Taylor will be on his way. After 22 years in rural Allegheny Township, 76-year-old Taylor and his wife Beverly, 71, are afraid the natural gas well slated for their neighbor's land will spell an end to their quiet lifestyle. "I'm just so disgusted," Taylor said from his house about 30 miles northeast of Pittsburgh. "This is our dream home, and they're ruining it." It's no surprise that Consol Energy Inc. subsidiary CNX Gas Co. took an interest in the area. Allegheny Township sits atop the Marcellus Shale formation, where hydraulic fracturing and horizontal drilling have sparked a nationwide gas boom. But after judges tossed an industry-friendly state zoning law last year, the Taylors thought the area around their home would be off limits to drilling. "It's zoned residential and agricultural, not industrial," Taylor said. "And they're going ahead and doing it anyhow." Neighbor Patricia Hagaman said the well pad would spoil the rustic character of their neighborhood, tucked in the rolling hills of Willowbrook Road. "When you choose to live out here, you know it's going to be give and take," she said, "but not an industrial brownfield." 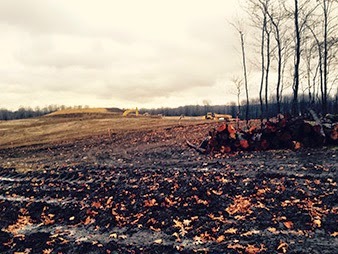 The neighbors-turned-activists have worked since July to halt well construction, challenging both the CNX well and the township ordinance that allowed the company to locate the project about 1,000 feet from Bob and Beverly's house." 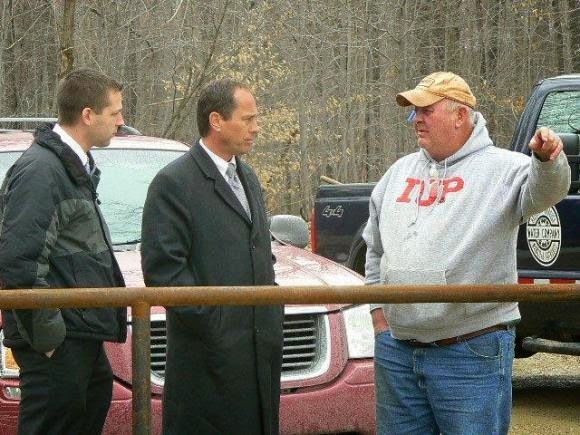 State Senator Joe Scarnati (center) and State Representative Matt Gabler visited the Flatirons Marcellus Shale drilling site in the Brockway watershed in 2011. This is a huge turnaround for a Pennsylvania state senator who has denied the possibility of water pollution from drilling and fracking for the past five years, frustrating the bejesus out of his constituents. Scarnati, the PA Senate’s President Pro Tempore, is a powerful and controversial figure.Sen. Joe Scarnati actually authored the highly anti-democratic Act 13 — the law that imposed a gag order on physicians and which, if not overturned, would have stripped municipal rights from towns all across Pennsylvania, preventing them from protectively zoning or regulating any aspect of shale gas operations. That includes well pad construction, drilling, and fracking right through compressor stations, waste impoundments, and pipelines. It’s not as if Sen. Scarnati’s turnaround means he will become an approachable, community-oriented advocate for clean air and clean water. He shows no particular sign of caring about fracking-impacted communities beyond his back yard. In fact, he was furious when Act 13’s municipal rights-stripping clause was overturned by the Pennsylvania Supreme Court." ...and then get active, folks. The Ligonier Township Planning Commission took one of the first steps in the 4-month process of revamping the comprehensive development ordinance, as it began its review of zoning ordinance term definitions. “The reason we started here is that I think it's one of the most important parts of the ordinance because improperly done, vague or insufficient definitions are one of the primary causes of legal issues down the road,” said solicitor Michael Korns, who worked on the draft. The comprehensive development ordinance covers several subcategories, such as subdivisions and zoning. Korns said it is a bit unusual to have such a combination, and he said the newly drafted ordinance spefically deals with zoning. "Until we challenge the entrenched values of capitalism – that the economy must always keep growing, that consumer wants must always be satisfied, that immediate gratification is imperative – we’re not going able to fix the gigantic psycho-financial-eco crisis of our times. That challenge is a deeply personal one: in a world where every inch of the capitalist system is bullying you into submission, can you resist? 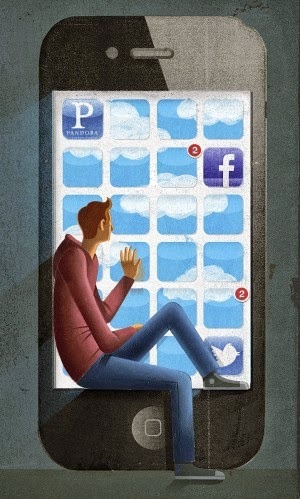 When advertisers hound you day and night, can you escape? This Black Friday, a massive, absurd, and destructive consumerist machine will coordinate against you for one simple reason - to convince you to max out your credit card to buy sh*t you don’t need so that a broken system stays afloat. So when they say "BUY! ", will you say NOTHING!”? Buy Nothing Day is legendary for instigating this type of personal transformation … as you suddenly remember what real living is all about … you sense an upsurge of radical empowerment and feel a strange magic creeping back into your life. Join millions of us in over 60 countries on November 28/29 and see what it feels like. Then, after Buy Nothing Day, take the next step … for generations, Christmas has been hijacked by commercial forces … this year, let’s take it back. And why not get playful while you’re at it!? … Put up posters, organize a credit card cut up, pull off a Whirl–mart, or a Christmas Zombie walk through your local mall." "This Black Friday could be Walmart's biggest yet. As the annual shopping extravaganza commences, Walmart will be hit with what is likely to be the largest nation-wide strike in the company's history, as workers demand the right to organize, full employment, and a living wage of $15 an and hour—and remind shoppers that many of the company's associates can't afford enough to eat this holiday season. Pickets, strikes, and protests are slated to sweep 1,600 stores across the United States on Friday, with tens of thousands of Walmart workers and supporters pledging to take part. Some major metropolitan areas, from Chicago to Los Angeles, are expected to draw large crowds of protesters. Walk-outs and workplace actions already began earlier this week in numerous cities, including a sit-down protest at a Washington-DC store on Wednesday. What a headline! The Mountain Palace special this weekend is Hot Pepper with Sliced Potato Ground Beef and Rice. This cold weather seasonal special is being repeated due to its popularity for those of you who may have missed it last weekend. http://www.wiziq.com/online-class/2335545-insomnia-acupressure-point-treatment Cost of the class is $10. This link will open in your browser and function with Windows, Mac and Android machines. Try something new this holiday season! Looking like a scene from a Currier and Ives print, Christmas season officially begins in Ligonier this weekend. Volunteers spent the last two weeks hanging lights on the trees and bows on the Bandstand in preparation for “Santa's Arrival and Diamond Lighting” event. Santa will arrive at 6:30 p.m. tomorrow on a horse-driven sleigh. He will be led to town by the Ligonier Valley High School marching band under the direction of Bethann Tricket, local Boy Scouts, Girl Scouts, the Idlewild Trolley and Miss Ligonier's Court. WJAC-TV news anchor Bill Brown, Ligonier Mayor Ormond “Butch” Bellas, Miss Ligonier, Emily Rose Long; First Runner-Up, Madeleine Wolff and Second Runner-Up, Allison Fox will be on hand to assist Santa as he flips the switch on the Town Hall steps to officially turn on the lights around the Diamond. Santa will greet children in the Town Hall community room following the lighting. Santa's mailbox will be placed near Town Hall for letters from the children in the Ligonier Valley. 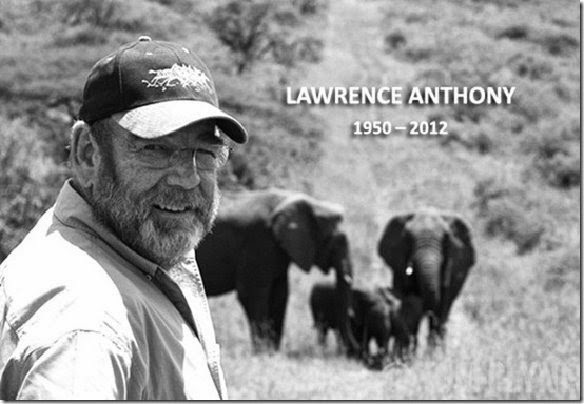 "We all know that many animals grieve the loss of family and friends and here's a wonderful acknowledgement of broken-hearted elephants mourning the loss of their human friend, Lawrence Anthony, author of The Elephant Whisperer . "Tonight at Thula Thula, the whole herd arrived at the main house, home to Lawrence and I. We had not seen them here for a very long time. Extraordinary proof of animal sensitivity and awareness that only a few humans can perceive. And Lawrence was one of them. Thank you for your wonderful messages. Lawrence's legacy will be with us forever at Thula Thula." Mr. Anthony also did incredible work to rescue animals at the Baghdad Zoo who were caught in the cross-fire of a horrific war. In an earlier essay I wrote: "Of course our nonhuman companions also grieve the loss of their human friends. Many show such deep and enduring loyalty and devotion that they continue to follow the same routines in which they took part with their human friend for years after the human died or they choose to live out their lives where their human is buried." More examples can be found here. We really don't need more data to know other animals grieve and mourn the loss of family and friends and I'm sure as time goes on more and more species will be added to the list of animals who grieve.Grieving and mourning clearly show that nonhuman animals are socially aware of what is happening in their worlds and that they feel deep emotions when family and friends die. Clearly we're not the only animals who possess the cognitive and emotional capacities for suffering the loss of others." For our survival, "habitat" - and by that I mean the whole earth and everything in it - must begin to be valued by humans as other than commodity for immediate use or gratification. From failing bees to shrinking elephant populations, human actions demonstrate how our cleverness far outstrips our wisdom to use that cleverness. We need a much deeper wisdom to know not just what we can do, but what is wise to do long-term. The animals are wiser in so many ways, and we can learn from them...beginning with our landbase. Push back on on the destruction of your land base, defend it. Our lives truly do depend on "our context"...which is the air, water and soil that supports us and all the animals/plants over which we have decided we have dominion. No one defends what they don't love... . Not recognizing the earth's worthiness to be treated as a loved one ensures the course that we see playing out across the globe. How did your school score? Administrators and teachers in the Greater Latrobe, Derry Area and Ligonier Valley school districts have been scrutinizing performance numbers recently released by the state Department of Education. The School Performance Profile scores are based on factors such as standardized test results, student improvement, attendance and Advanced Placement and SAT scores. Each school in the three local districts earned above a score of 70 out of 100 with Latrobe Elementary School and Greater Latrobe Senior High School earning two of the top 10 scores for buildings in Westmoreland and Fayette counties. "The President’s Task Force should listen to the body of science that links pesticides to bee harm and bee declines," stated letter signatory Jim Frazier, PhD, an emeritus entomology professor at Pennsylvania State University and commercial beekeeper adviser who specializes in chemical ecology." Industrial agriculture is destroying our water, wrecking the soil and we are a sicker population after it's all said and done. Food is cheaper, sure, but it's also depleted, lacking life-giving energy, so one pays for it in the end, with increased medical costs. The bees are the canary in the coal mine. 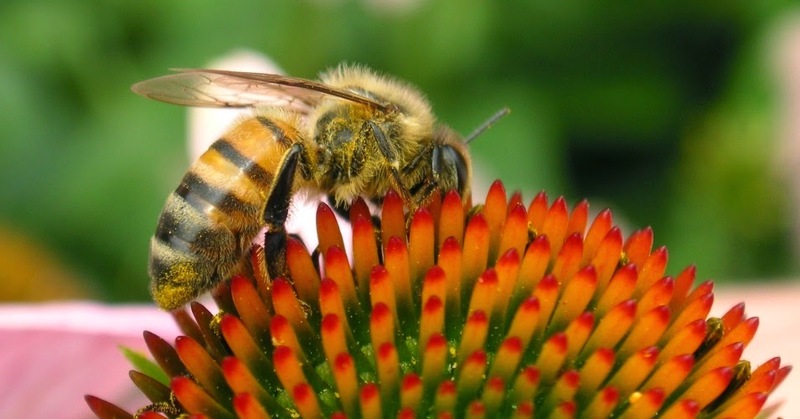 (Coal: that's another thing... .) Pollinators like honeybees are responsible for one out of every three bites of food we eat... . Pollinators killed by pesticides = one third of your favorite foods *gone*. Will we just wait to see what happens? Or, will enough people see the writing on the wall and begin to pressure elected officials for needed action? Today, author Henry David Thoreau’s distinctive insights on nature, society, and selfhood are as relevant as ever. 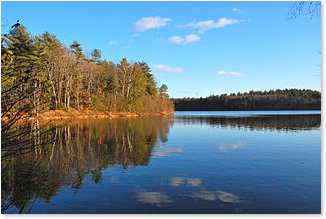 In this talk, we will explore Thoreau’s influential legacy and consider some implications of Thoreau’s ideas for important issues of our own time. Bryon Williams, who teaches English at Duquesne University, has a long standing personal and professional affinity for the works of Henry David Thoreau. This letter was sent to Ligonier Borough Council Members to be read under correspondence at the November Council meeting. Instead, it was pulled from correspondence and given to the mayor for his personal reading. A copy was given to the Ligonier Echo for publishing but did not get printed. In an attempt to let people know how our local government operates and in the interest of freedom of speech, we are submitting this to the Ligonier Living Blog. 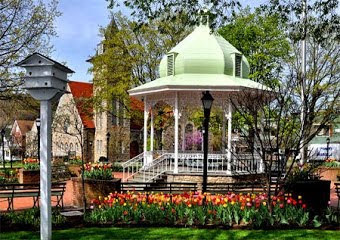 Regulations regarding trees between the sidewalk and curb are defined in Chapter 131 Shade Trees of the Ligonier Borough and any trimming by the property owner requires a permit issued by the Shade Tree Commission. These regulations shall be enforced by the Commission in conjunction with the Mayor and the Borough police. It appears that our mayor not only chooses to not enforce Ligonier ordinances, he also knowingly violates them as indicated by the recent radical pruning of a number of trees on Summit Avenue. All that remain of about a dozen large trees on Summit Avenue is the trunk and a few stubs that once were large branches leaving our street looking like a war zone. The mayor added insult to injury by dumping all trimmings from the trees onto the roadway blocking parking spaces on a street that already has limited parking. He then left the debris on the street until the borough employees hauled a number of large truck load away to clean the street at tax payer's expense. The average Ligonier citizen trims and disposes of tree trimmings at their expense as required by our ordinance while those who feel privileged and entitled do as they please. Our mayor appears to be out of control and we would like to know if our borough council can do something to correct this situation. 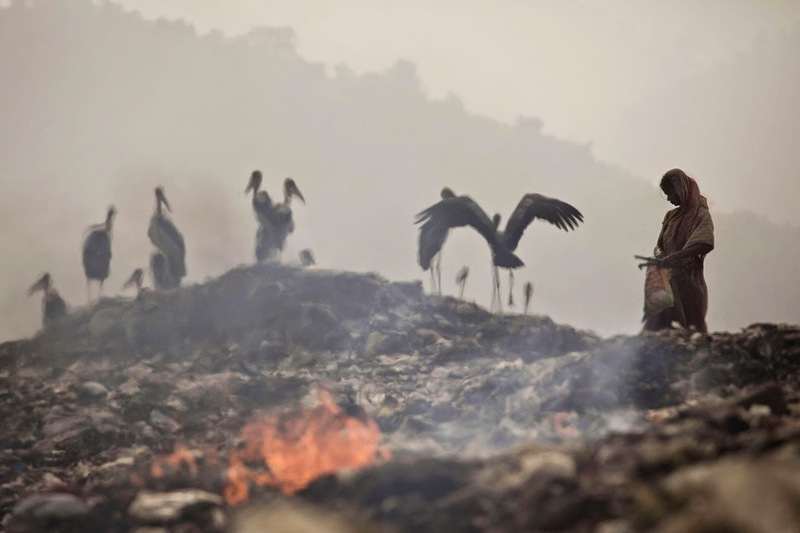 "If we only knew more about climate change, would we start getting serious about fixes? Researchers have found that more information about climate change doesn't necessarily form people's opinions. "There are lots of different dynamics that operate in how people form their perceptions of risk," says the Cultural Cognition Project: scholars looking at the impact of group values on perceptions of risk and related facts. "Climate change has a certain kind of meaning in our culture. It's a kind of badge of membership and loyalty to a group." Now if you make a mistake in expressing that, you actually could suffer a lot of adverse consequences in your own community. He cites the case of South Carolina's former U.S. House Representative, Republican Bob Inglis, once considered one of the country's most conservative politicians. He was booted out of office in 2010 after he said the GOP should follow scientists near-consensus on climate change. So how does (Yale Professor) Kahan himself avoid these thought traps? He advises talking to a trusted person you know who holds the opposite position on climate change or other divisive issues, like using vaccines. "We have to accept as known by science far more than we could understand," Kahan says." Mountain Palace - Cold Weather Special! Hot Peppers and Sliced Potatoes with Ground Beef and Rice is the weekend special at Mountain Palace! Come to enjoy this traditional northern Chinese cold weather special or any of our other Happy Healthy menu items. Friday 6 to 9, Saturday 12 to 9 and Sunday 12 to 6. Traditional Chinese Medical Exercise class will be held at Mountain Palace at 11 Saturday. Eleven miles north of Ligonier left off of Route 711 onto Creek Road directly across from Mirror Lake. 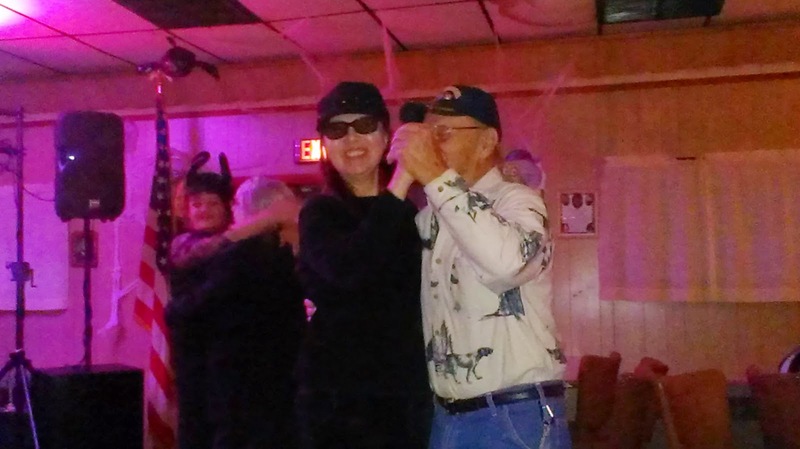 So who is the mystery woman with the WWII Vet Grand Dancing Champion at the New Florence VFW Halloween dance? or CSB, as we like to call it! After having been a part of the amazing Ligonier Country Market this summer (Remember the Polka Dot tent? Yep, that was us!! 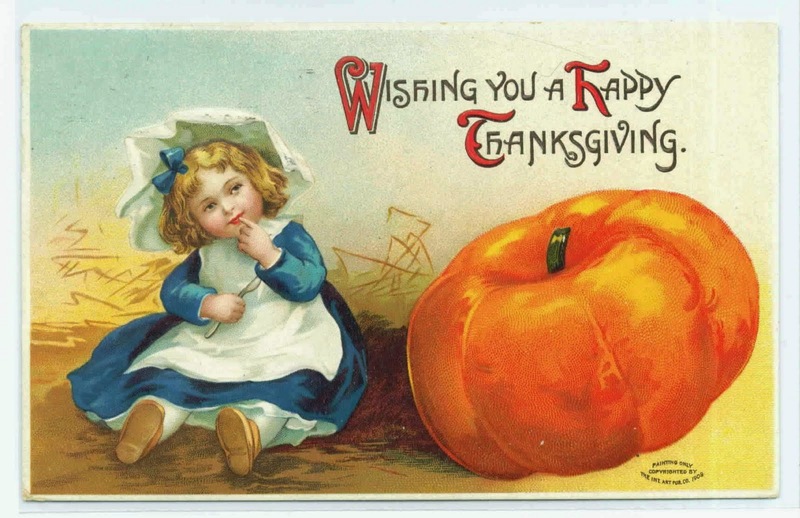 ), we are happy to be able to serve you throughout the year, and keep you and your family safely fed with gluten free breads and goodies. We are beginning our second season of the CSB on Thursday, November 20, 2014. We are moving into an 8-week season this time around. We will accept late entries into the season, but please call to discuss your options. 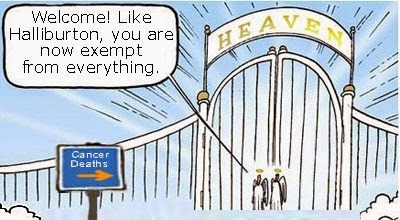 866-835-4948. Our CSB is modeled after a traditional farm CSA, but with a few variations. Here's how it works. As with a CSA, you pay one time at the beginning of the CSB period for the whole period, and no more money will exchange hands unless you’d like to add to your weekly order. Every Thursday, you will go to the pick-up site after the drop-off time, and take the bag with your name on it. It’s seriously that simple. The pick-up site in Ligonier is at Thistledown at Seger House. Our gluten free community is growing, and we all need to lean on each other for recipes, support, guidance, etc., and this CSB is a great way for you to get to know those strong people around you. Click HERE to download and print out the order form. You can return the form via snail mail or email, and you can pay by check or credit card (call us to process it). Easy peasy. "All these years later, it’s still every bit as funny. Before Mike Nichols became the Academy Award-winning director known for iconic films like “The Graduate” and “Who’s Afraid Of Virginia Woolf?” he was a talented comedian on the Chicago improv scene. While attending the University of Chicago, Nichols met Elaine May. After the two worked together as members of the Compass Players, a predecessor to Second City, they formed the improvisational comedy duo of Nichols and May in 1958, launching both of their careers. Their skits were incredibly memorable and influential, earning the duo a Grammy award, their own show on Broadway and other accolades. Perhaps their best known bit is the “Mother and Son” skit, in which May plays the relentlessly nagging mother of an aerospace engineer." There is also the classic “$65 funeral” skit, as performed here on Jack Paar’s show. And, of course, their water cooler routine. "The Delaware Riverkeeper Network, the Clean Air Council and a local parents group Protect Our Children, are challenging an ordinance in one western Pennsylvania town that will allow six gas wells to be developed on a site close to a school campus. The Middlesex Township Zoning Board heard testimony on the challenge to the ordinance on November 18th." "With U.S. corporate interests revved up to plunder ever more fossil fuel, NASA has released a stunning new look at how carbon dioxide in the atmosphere - the deadly result of all that plunder - travels around the globe. Called a “Nature Run,” the ultra-high resolution visualization, shown for the first time at this week's SC14 supercomputing conference in New Orleans, shows plumes of carbon dioxide primarily from the northern hemisphere mightily swirling and churning with the winds and seasons. The 2006 model clearly shows huge red masses billowing, then dispersing in the summer as they're consumed by photosynthesizing plants, to be largely overtaken by seasonal forest fires in the southern hemisphere before eerily surging again come winter. Mesmerizing and terrifying." “Are kids growing up in the digital age really different?” asks Howard Gardner, Hobbs professor of cognition and education. Six years ago, he and then-student Katie Davis, Ed.D. ’11, set out to explore the question, and in their new book, The App Generation: How Today’s Youth Navigate Identity, Intimacy, and Imagination in a Digital World (Yale), they argue that the answer is unambiguously yes. "A study conducted by Dr. David Carpenter, director of the Institute for Health and the Environment at the University at Albany-State University of New York tested air samples taken by trained volunteers living near fracking wells. The measurements were taken during “heavy industrial activity” or when the volunteers experienced symptoms such as dizziness, nausea or headaches, according to U.S. News. Other samples were taken during designated periods to monitor for formaldehyde. Slightly less than half of the samples exceeded recommended limits, according to lab results. Samples that exceeded recommended limits did so by very high margins, with benzene levels ranging from 35 to 770,000 times greater than normal concentrations, comparable to a driver being exposed to 33 times the amount they would be while fueling their car.Hydrogen sulfide levels were 90 to 60,000 times higher than federal standards, while formaldehyde levels reached 30 to 240 times higher than normal. “This is a significant public health risk,” said the study’s lead author. “Cancer has a long latency, so you’re not seeing an elevation in cancer in these communities. But five, 10, 15 years from now, elevation in cancer is almost certain to happen.” Benzene, one of the four chemicals in diesel, produces known health complications in people, prompting the Food and Drug Administration (FDA) to require permits for any drilling involving diesel. However, an FDA loophole known as the “Halliburton Loophole” exempts fracking companies from restrictions set by the Safe Drinking Water Act and federal Clean Water Act. 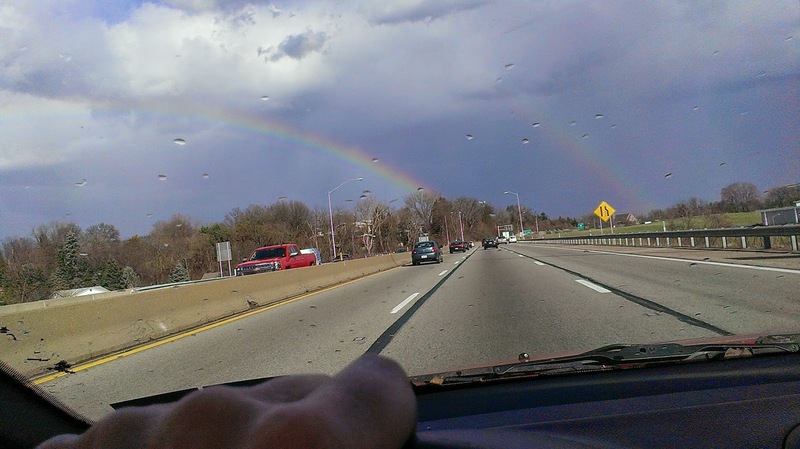 “I was amazed,” said Carpenter. “Five orders of magnitude over federal limits for benzene at one site — that’s just incredible. You could practically just light a match and have an explosion with that concentration.”Benzene is known to cause leukemia and cancers of other blood cells, as well as short-term effects like headaches, tremors, sleepiness and vomiting, according to Cancer.org. Hydrogen sulfide, which carries a rotting egg smell, is linked to asthma, headaches, poor memory and eye irritation. Formaldehyde, also a known carcinogen, is linked to nasopharyngeal cancer and leukemia, among other health effects." "The residents of a small German town managed to turn a neo-Nazi rally into an anti-Nazi fundraiser by playing a trick on the supporters of the Third Reich. For many years, Wunsiedel has become awash with neo-Nazis every November when supporters march through the town in honour of the National Heroes' Remembrance Day. They choose Wunsiedel because it was the original burial site of Rudolf Hess, Deputy Fuhrer to Adolf Hitler from 1933 to 1941. In 2011, the roughly 1,000 inhabitants of the town managed - with the agreement of family members - to get Hess' remains exhumed and his gravestone destroyed. However, marchers still flock to the town, albeit in smaller numbers. So this year, come the march on November 15, a campaign called "Rechts gegen Rechts" (Right against Right) decided to turn the neo-Nazi rally into a charity walk. Instead of protesting against the demonstration, shop owners and residents in Wunsiedel pledged to donate 10 euro for each metre the neo-Nazis marched. They managed to raise 10,000 euros. The money went towards EXIT-Deutschland, a charity that helps people leave neo-Nazi groups. The pro-Hess marchers had no idea until they began their walk, noticing along the route that villagers had set up motivational signs, showered them with confetti when they finished. A sign explained to them they had just raised money against themselves as they crossed the finishing line. "It was an absolute success," said Inge Schuster, spokesperson for the mayor of Wunsiedel, told The Local. "It created something positive out of (the march), including the €10,000 donation for EXIT-Deutschland." The villagers even provided food for the neo-Nazis along their journey. 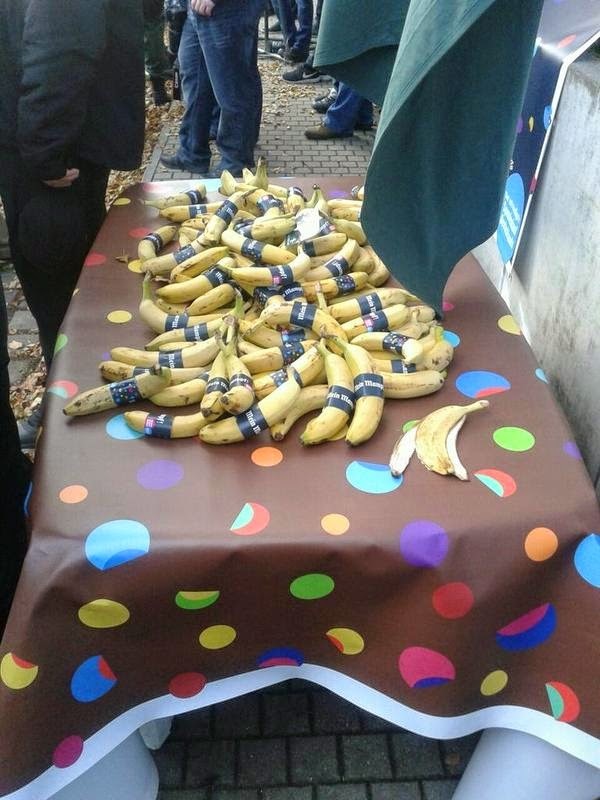 The edibles were on offer under a banner that read "Mein Mampf" meaning "My Food". Fabian Wichmann, a researcher at EXIT-Deutschland told The Local, "They probably won't go away. The history of the town is too important to them, but at least we've created something good out of it." 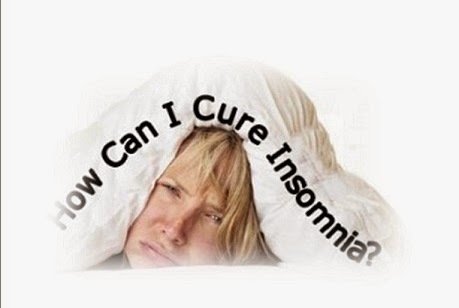 Many people are suffering from insomnia which causes many health problems such as poor immune system function, risk of anxiety and depression, obesity, high blood pressure, risk of heart disease and risk of diabetes. Sleeping pills can help you temporally, but their side effects will affect your health to put your body system out of balance and sleeping pills will become resisted if you take the pills for a long time. This class will teach you how to treat insomnia with traditional Chinese medicine methods including pressure point, anti-insomnia rice and herb soup and anti-insomnia herb tea to help you get rid of this health problem living in happy healthy!